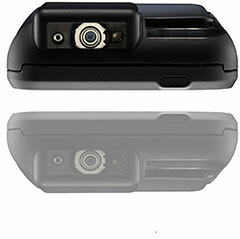 Infinite Peripherals Linea-Pro 4 - MSR and 2D Barcode Scanner Sled for Apple iPod Touch 4th Generation. Software is not included. An application with IPC SDK support is required. 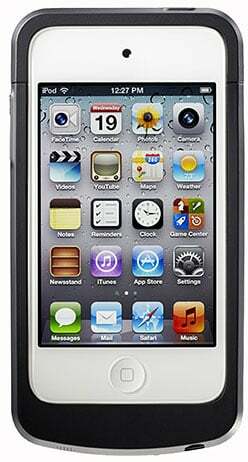 Designed specifically for use with iPod/iPhone there by allowing the Apple iPod and iPhone to sync with iTunes. The Linea Pro 4 includes a 1D or 2D barcode scanner, a 3-track magnetic stripe reader, and a rechargeable battery extender in a compact protective case. Linea Pro 4 allows mobile workers to convert their Apple iPod touch and Apple iPhone handset into a powerful point-of-sale solution. The Linea Pro 4 includes optional 1D or 2D barcode scanner, 3-tracks magnetic stripe reader, and a rechargeable battery extender in a very compact and durable protective case. Battery, Lithium Ion, 3.7V, 1300 mAh, Rechargeable. The Infinite Peripherals LP4C2D-POD4 is also known as LP4C2D-POD4	or LP4C2DPOD4	.